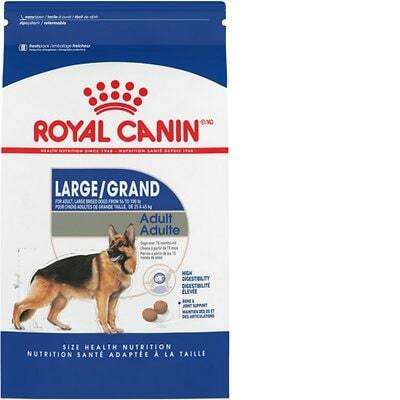 Royal Canin Size Health Nutrition Large Adult is a mid-priced dog food with lower-end quality. This product has 3 controversial ingredients with no artificial preservatives, colors and flavors being used. It has a high amount of carbs, compared to its protein and fat with a mixed quality of meat and fat. Royal Canin has an above-average number of dog food recalls and was very transparent when answering our questions. The average dog food we reviewed has 39 total ingredients, with 1 controversial ingredient. This product has 3 total controversial ingredients and 2 are used in the first five ingredients. This is concerning because the first 5 ingredients make up most of the product. Wheat is not generally considered a controversial ingredient, but is controversial when it is used in the top five ingredients (which make up about 80% of the food's weight) where a named meat or lean protein would be more nutritious. Royal Canin is made in the USA. The strict laws and regulations here ensure a high minimum quality standard for dog food manufacturers. Chicken By-Product Meal, Chicken Fat and Fish Oil provide major proteins and fats in this dog food. The former two are transparently showing that they are made of chicken. The latter makes it unclear which specific fish this oil is sourced from, much less transparent. 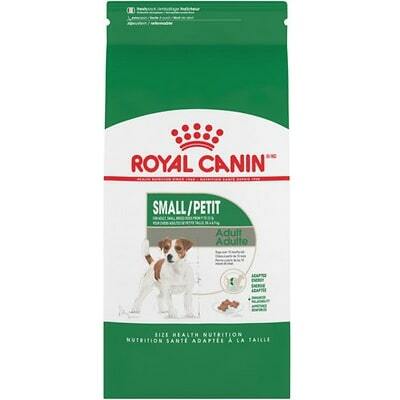 Royal Canin Size Health Nutrition Large Adult uses 0 controversial artificial preservatives, excellent. It’s good to know that ‍not all artificial preservatives are bad. That’s because they serve an important purpose, which is to prevent food from spoiling. However, we consider 11 artificial preservatives controversial because of their potential link to cancer and other serious health conditions. 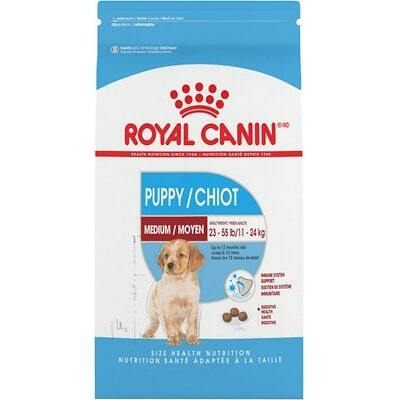 Royal Canin has an above-average number of product recalls.